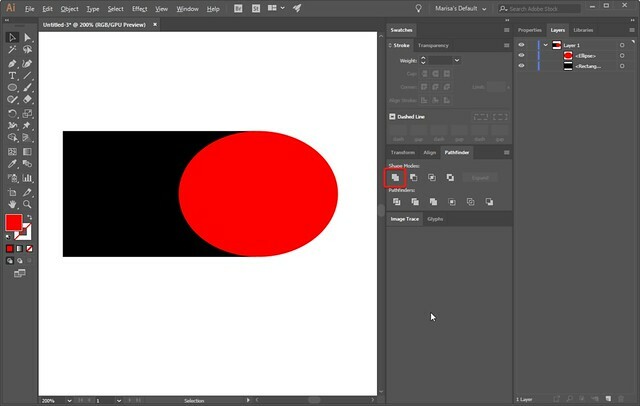 Illustrator is a great tool for making interesting shapes, especially if you want to remove part of a shape. In Photoshop I haven't found a great way to do this and keep lines sharp. 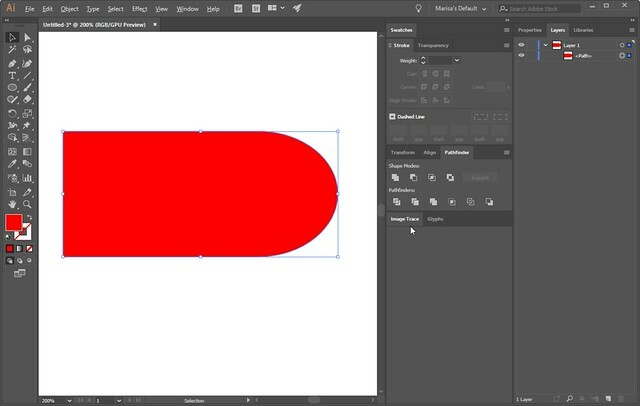 In Illustrator you can easily remove part of a shape and keep your sharp edges. Video follows text tutorial. To begin I've made a square with the shape tool. 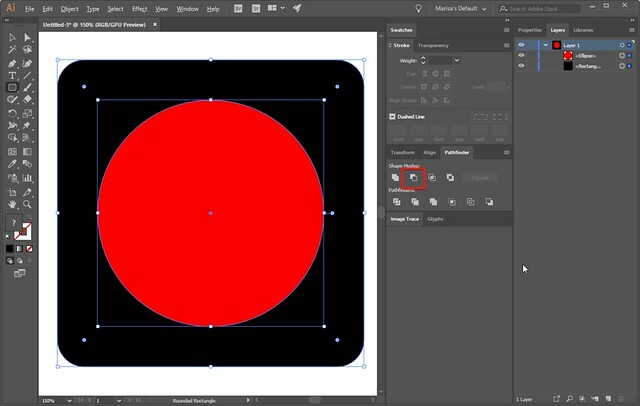 If you want to adjust the edges of your rounded corner, just click on your canvas and a window will pop up allowing you to adjust the settings of your shape. Whatever you set for the corners will stay for all future rounded rectangles until you adjust the settings again. 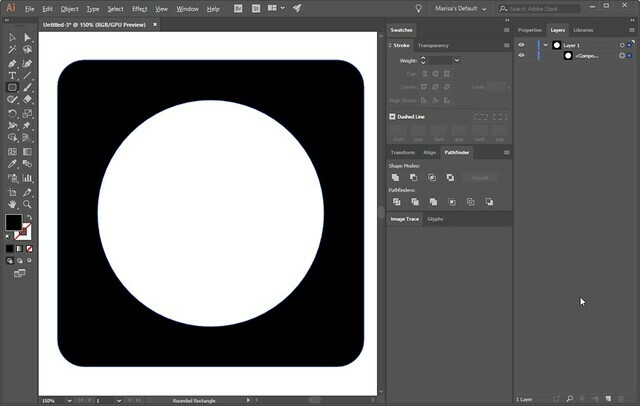 Next I will make a circle (hold down on the shape tool to change shapes) and align it with the square. To find the Align panel go to Window -> Align. Now you will want the Pathfinder panel (Window-> Pathfinder). 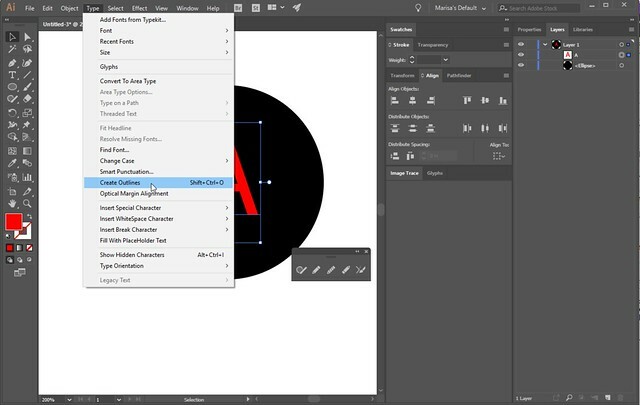 With both layers selected choose the "minus front" option. This will remove the top layer from the bottom. You can also join shapes together to make a more interesting shape. 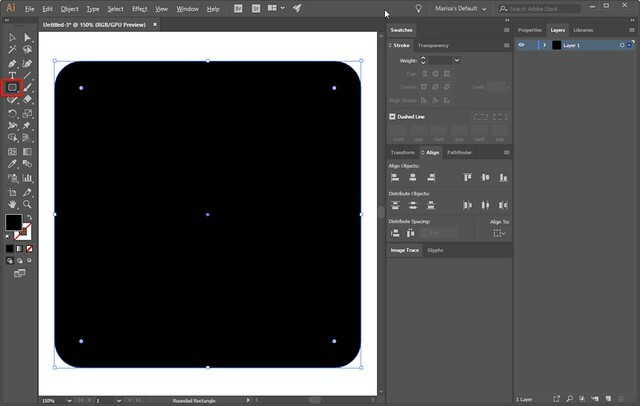 Making your shapes in Illustrator is great because you can easily resize them without losing your sharp edges. I often like to remove text from a shape. To do this type the text you want. 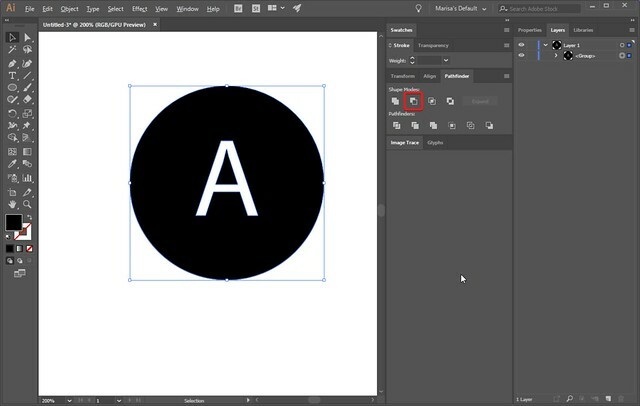 With the text layer selected go to Type -> Create Outlines. This will switch your layer from a text layer to a regular shape layer. Now you can remove it as we did in the first example. Thank you! I'm putting this to use right away for the October blog train!